Next to VivoCity is the causeway that links mainland Singapore to Sentosa Island. 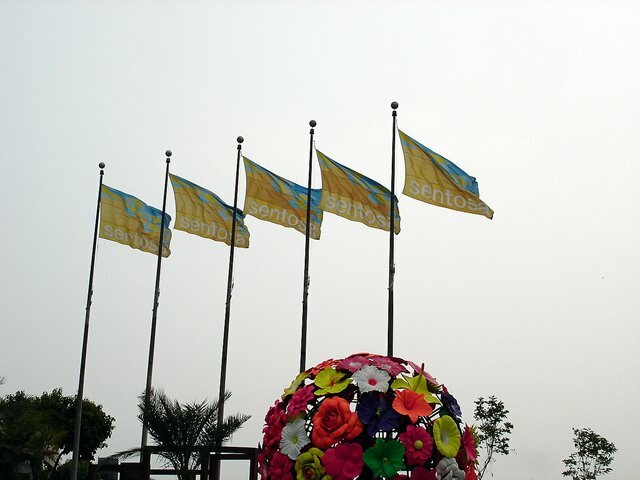 Here's some flags flying the Sentosa Flag. Sentosa Island is a super super major tourist attraction. If you like Sun, Sand and Sea. This is the place to go! Even though I'm a Singaporean, surfing your blog has allowed me to spot loads of new things I would never have noticed otherwise. I always look forward to more of your great quality photos and posts.